I bet you must have encountered data loss problem, for example, you deleted valuable files or folders from computer, laptop, USB flash drive, SSD, cell phone, digital camera or other data storage media. Are you still among those who deem there is no way to get deleted files back. Actually, there indeed are solutions that are able to recover deleted files free or undelete files for free. And you’ll find it is very easy to recover deleted files if you finish reading this article. First thing first, you should stop using the data storage after files get lost. For instance, don’t save anything to the partition which stored those deleted files. This is the vital step that determines the final result. You can read previous articles to know detailed reasons why we must avoid any possible writing actions. This article mainly focuses on steps of recovering deleted file. The simplest way for common users is using deleted file recovery freeware. Software can be downloaded from the Internet at any time, and freeware is affordable to anyone. 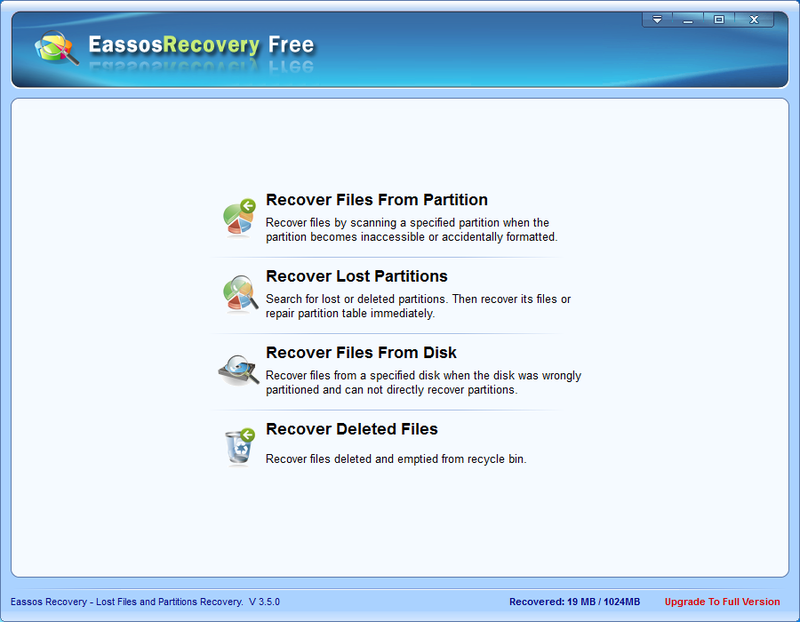 Eassos Recovery free is one of such programs, which supports recovering deleted files and undeleting files for free. 1. Install the program on your computer first. 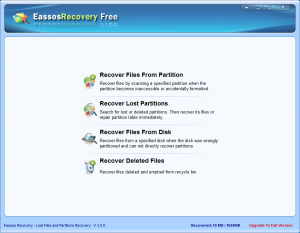 Then you can choose the recovery mode “Recover Deleted Files” which is specialized in recovering deleted files. 2. Select the partition or drive that needs recovering lost files and then the program starts the scanning process. Tips: No software can guarantee that lost files can be recovered 100%, thus you should make a backup for important files, which is the most reliable and safe way of avoiding data loss problem. This entry was posted in Data Recovery and tagged recover deleted files free, undelete files free by EASSOS. Bookmark the permalink.